While the like of Netflix, Hulu, Amazon, Showbox, YouTube have been in the league since a very long time, some newer brands like Epix and Disney has recently joined the bandwagon. Just when you would have thought it is over, Microsoft has just announced a new streaming service it will be launching through its ownership of LinkedIn. 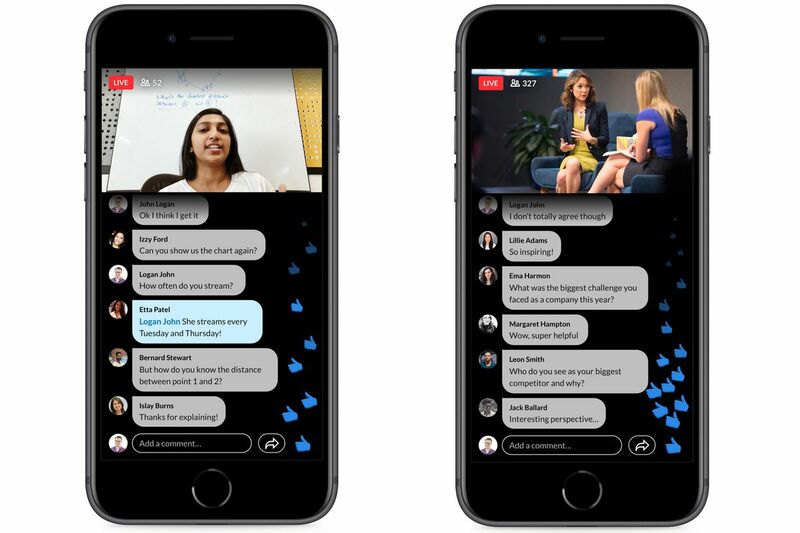 The social network is launching a new LinkedIn Live service to its 600 million users, allowing people to live stream video content. It’s arriving initially as an invite-only beta this week for US users, and it comes nearly 18 months after LinkedIn originally started supporting video. Unlike what you are familiar with on other streaming services, Microsoft through LinkedIn will rather focus on streaming things like Q&As, events, conferences, earnings calls, awards ceremonies, product announcements, and more. This new development is seen as one of Microsoft many attempts to support LinkedIn Live through its Azure Media Services, providing the all-important encoding technology to seamlessly stream live videos. LinkedIn is also partnering with Wirecast, Switcher Studio, Wowza Media Systems, Socialive, and Brandlive to allow content creators to access experienced broadcasting streaming services. According to Pete Davis, director of product management at LinkedIn “Video is the fastest growing format on our platform right now, and the one most likely to get people talking,” Furthermore, he stated that “Live has been the most requested feature” on most social platform, he stated during an interview with a media source. While the feature is still in the bunker, LinkedIn hasn’t yet revealed when it plans to make this new video streaming service available to all 600 million of its users, but the company will accept sign ups through a contact form on LinkedIn. Also, just for the records, LinkedIn should definitely not expect everything to go smoothly with the new feature, especially when it is only coming to join the majority that has been in the game even before now; the likes of Facebook, Twitter, YouTube, Twitch, and many other services that offer live video streaming services. However, LinkedIn might have uniqueness as its own strength, as the brand only want to focus on a specific or targeted audience rather than the general masses. Of course, the platform won’t be the place to watch streamers beat the latest video games, nor will you likely see your friends or colleagues live streaming their personal lives. LinkedIn has always been about professional working life connections, and LinkedIn Live is a clear attempt to corner that niche of the streaming video market.